Was Football Introduced To Ghana From Jamaica Or Guyana? With the disappointing showing by African sides at the 2018 World Cup, many soccer fans are looking back to Cameroon in 1990, Senegal in 2002, and more recently, Ghana’s memorable performances at the 2010 tournament. 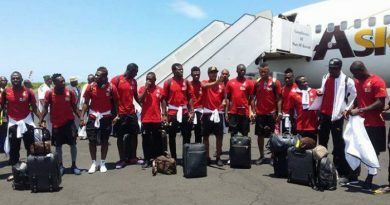 After a win over Serbia, a draw with Australia, and a narrow loss against Germany, Asamoah Gyan led the Black Stars to a thrilling victory over the United States and a place in the quarter-finals. Facing Uruguay, the Ghanaian team scored first with a long-distance strike. The lead did not last long. Early in the second half, Diego Forlán sent a swerving free kick into Ghana’s net and leveled the game. After 90 minutes, the teams remained deadlocked, and so they continued into extra-time. Then, amidst a goalmouth scramble in the final seconds, Dominic Adiyiah launched a header past the Uruguayan keeper and appeared destined to send Ghana through to the semi-final. His attempt was denied, however, by the infamous hand of Luis Suárez. (Not to be confused with his infamous teeth.) Gyan missed the subsequent penalty kick, and Uruguay claimed victory in the shootout. Ghana’s run was over. 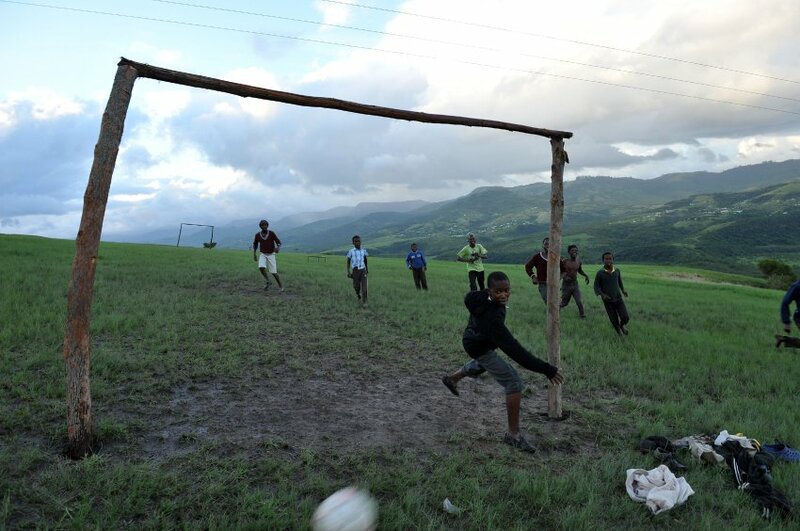 Less well-known are the origins of soccer in Ghana. In most parts of Africa, the game arrived with European missionaries, soldiers, merchants, and colonial officials, but in Ghana, this history also had a Caribbean influence. 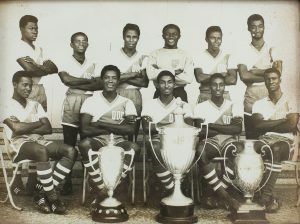 According to Stephen Borquaye, in his 1968 biography of the legendary Accra Hearts of Oak Sporting Club, soccer came to Ghana with “a Jamaican educationist, a Mr. Briton, who was headmaster of the Government Boys School at Cape Coast.” “Mr. Briton,” Borquaye explained, was an “all-round sportsman.” He taught his students to play cricket and lawn tennis and then in 1903, soccer. Interest in the game quickly spread beyond the school grounds and then through towns all along the coast. 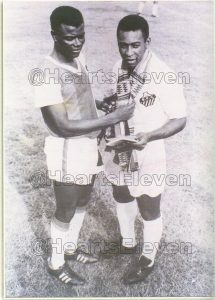 On the 6th February, 1969, Accra Hearts of Oak were held to a 2-2 drawn game by a Pele-led Santos FC of Brazil in an international friendly at the Accra Sports Stadium. Yet “Mr. Briton,” better known as Joseph Augustus Britton, was not from Jamaica. He was born in Demerara, then part of British Guiana. He was also not solely responsible for introducing soccer to Ghana, though he was a prominent figure. From 1886 until 1912, he taught at the government boys schools of Accra and Cape Coast. He was a friend of Joseph Casely Hayford, and he consistently extolled a belief in racial uplift. Among his students were Frederick Nanka-Bruce, one of the first African doctors in the Gold Coast; Vidal Buckle, a lawyer and the father of radical communist and Pan-Africanist Desmond Buckle; and Josiah Spio-Garbrah, who became a teacher himself and even named a son after his mentor. This son, Britton Spio-Garbrah, served as a foreign diplomat for the Kwame Nkrumah government and was also a close friend of Ivor Wilks. Borquaye’s slippage in describing Joseph Britton as Jamaican reveals some of the threads between soccer, history, and politics in postcolonial Ghana. 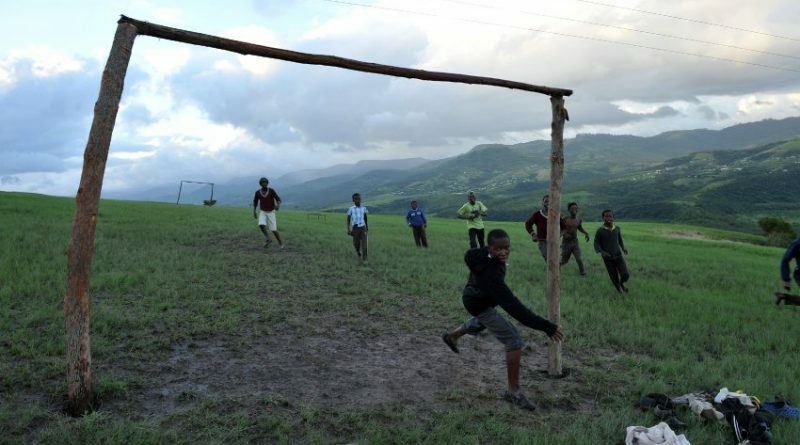 For newly independent African countries in the 1960s, soccer teams were important symbols of national unity. In Ghana, however, the national team was also an important symbol of Pan-African unity. In 1966, for example, Nkrumah led an African boycott of the World Cup. Moreover, Ghana’s team, the Black Stars, carried the same name as Marcus Garvey’s shipping line. Writing in the wake of Nkrumahism, Borquaye was unconcerned with recording the precise history of soccer’s arrival in Ghana or with determining Britton’s birthplace. Instead, he braided together the history of soccer in Ghana with the memory of a black Caribbean teacher. He tapped into the popular symbolism of soccer, Garvey, and Jamaica and created a powerful Pan-Africanist narrative. Like many others, he used the language of the game to tell a larger story.